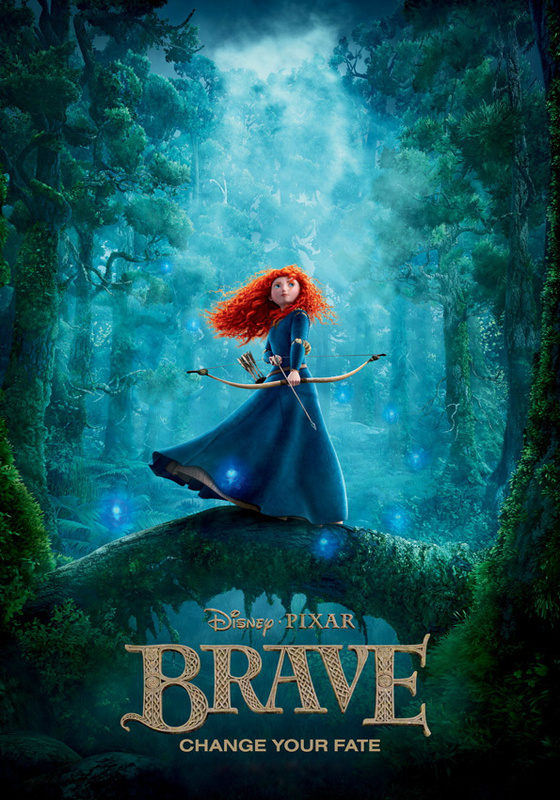 Description: In the scottish highlands, the princess Merida is more a warrior than a scholar, when she is set up for marriage, Merida runs off into the woods. The beauty about Pixar movies is that a lot of the time, they can take a very simple story and give it a cornucopia of layers. Sure, the message may be pretty close to the surface, but it's never the focus of the story. Even the most 'preachy' one, Wall-E, is more of a cute little love story between robots than the environmental message it eventually becomes at least 15 minutes into the movie. Sometimes though, it can be nice with just a fairy tale that's well told and in that regard this movie definitely delivers. 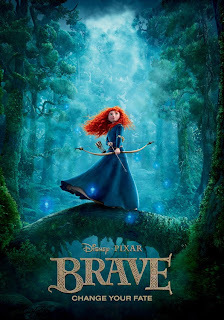 Brave takes place in Scotland, and all throughout the movie you have this beautiful forest esthetic. The music is for the most part celtic, making the movie a joy to just look at, the character designs are simple yet recognizable and the bright red hair of Merida and her little brothers make the movie really colorful even in it's darkest moments. When this movie came out, I noticed it got a lot of flak because people had expected more, this is the first Pixar movie with primarily female main characters and I suspect the lack of a larger message behind the movie is what frustrated some audiences. Pixar has spoiled us with deep movies over the years, so something as simple as this is out of the ordinary. Stick with it though, as it is both funny and heartwarming in it's simplicity. Sometimes, with enough icing, the simplest of cakes can be as tasteful as the complicated ones and this is such an occasion. It may not be the deepest of cartoons, but it is wonderfully animated, and with a pretty cute story to boot.